A graduate of IGS HR school, Lucille held sales and marketing management positions in the pharmaceutical industry for 15 years, including seven years in medical devices. Since 2001 she has managed headhunting projects in health & biotech, retail and emerging technologies. She founded and directs Women in the Heart of Boards. Her role also includes sourcing investment capital for departments and startups in her role as consultant. 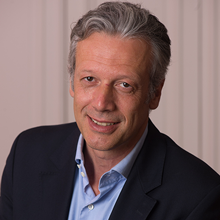 With an MS in international economics, an advanced accounting degree (DECS), and an MBA from HEC/ISA, Michel has held positions in operations and management in the Indosuez Group and CompagnieBancaire, financial analysis, portfolio and wealth management, auditing and corporate finance. He was Director of Sales at Lafitte Investissement, Executive Vice-President at Pierre &Vacances and General Manager at Kléber Finance Conseil. After working as a consultant in a UK firm then Assistant Director at a staffing consulting group, he has led headhunting projects across all sectors with an emphasis on finance and NICT plus oversees relations with investment funds. 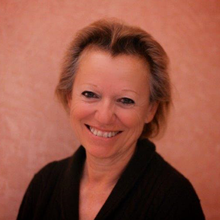 Frédérique Bedos worked for 15 years as a journalist and TV/radio host in France and worldwide. She hosted a number of high-profile prime time programs. In 2010, she took a huge leap of faith and started Le Projet Imagine, an educational non-profit that works to spark action through inspiration. Her main source of inspiration is her adoptive parents in northern France who took her in as well as some 20 "unadoptable" children from around the world. With Le Projet Imagine, Frédérique turns the spotlight to the men and women who conquer the unknown and show us that anything is possible: the famous Imagine Heroes. 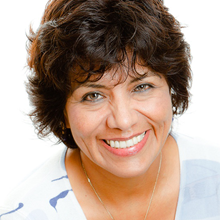 Sandra Esquiva-Hesse is partner, director and founder of the law firm SEH Legal. She advises and supports companies, entrepreneurs and investors in corporate operations, financing, structuring and restructuring (carve-outs, refocusing, special acquisitions) and represents them in court against such matters. She began her career on Wall Street in 1998 as a US Associate (attorney at the New York Bar) in the Bank Finance & Bankruptcy department at Shearman & Sterling. 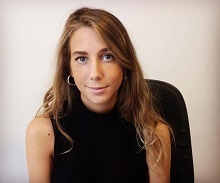 In 2002, she became counsel in the Structured Financing department at Clifford Chance Paris and then in 2006 took a position as associate in the Finance & Restructuring department at the Paul Hastings Paris office, a department she created and developed until 2011. With all this experience under her belt, in April 2011 she founded SEH Legal, which has earned a reputation as a responsive niche law firm because of its expertise in crossborder negotiations and an innovative approach to helping resolve complex legal cases. Sandra regularly receives accolades and recognition in business directories (Chambers, Legal 500, IFLR100, Décideurs, Financial Times Innovative Lawyer of the Year). 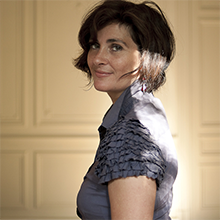 Brigitte Gauthier-Darcet has an engineering degree from Ecole Centrale de Paris (1978) and a degree in economics and political sciences from Institut d’Etudes Politiques de Paris (1979). She began her career in teaching as an Assistant Professor of economics at Ecole Centrale. 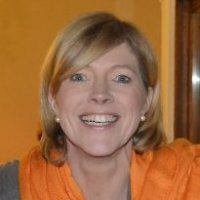 She then went on to positions in project management, team coordination, financial management and general management at a wide variety of companies ranging in size from millions to hundreds of millions of euros in turnover, in sectors including engineering, media, audiovisual production, salt production, winegrowing, air transport and real estate. She also founded and then directed a shared services center, managed a takeover bid, helped create and then ran a cluster of audiovisual production companies and directed several corporate acquisitions and sales. Since 2011, she has also been an independent board member of a publicly traded property investment company and the Express Roularta Group. 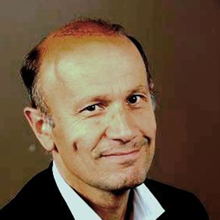 In 2002, François Momboisse became President of FEVAD (federation of e-commerce and remote sales). He is 57 years old and graduated from Ecole Polytechnique with an MBA from INSEAD. He spent the first 18 years of his career at consumer product manufacturing companies: Procter & Gamble (1981-1992) followed by Benckiser (1992-2000) where he served as General Manager for Belgium then CEO for France. In 2001, he began a 12-year tenure at Fnac where he held the positions of General Manager of Fnac Eveil & Jeux, Director of Fnac music, Director of Development for fnac.com, France and then International, and was ultimately promoted to Director of Institutional Relations. François Momboisse currently works as an independent consultant. Since 2006, he has also been a board member of the Conseil du Commerce de France, has sat on the Executive Board of MEDEF since 2011, and starting in 2012 took on the chairmanship at E-commerce Europe, a European online merchants association. 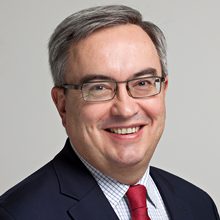 For nearly 20 years, Didier Delaigue has served as counsel for general management, mainly in corporate strategy and governance. He has advised corporate directors, board members and boards of directors primarily at family-owned companies on strategy and operations for their governance systems (development, professionalization, inheritance, etc.) He also advises founding directors on creating startups. He works in a number of different business sectors ranging from distribution, fashion and industrial equipment to pharmacy, mutual insurance, energy and shipping. 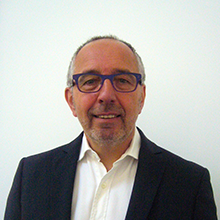 Didier had previously spent 16 years working for major industrial companies (Elf Aquitaine and Framatome). In particular, he served as assistant to the Director of Strategy at the Framatome Group. Didier also teaches in these fields at universities and French engineering/business schools (HEC, CELSA, Centrale). He earned an Executive MBA from HEC and a PhD in Engineering from Ponts & Chaussées. Mary Francia has over 20 years of experience ranging from international management and expertise in strategy and digital technologies to consulting, business development and executive council. While working as a key director in technology and consumer firms and in international markets, Mary coordinated the formation of partnerships, new companies and startups as well as a €1.25 billion restructuring program. She has acquired a unique skillset and can provide fresh insight on strong growth and decline in a multicultural, multigenerational climate. Mary has held executive vice-president positions at Fortune 500 companies both in Europe and the United States. 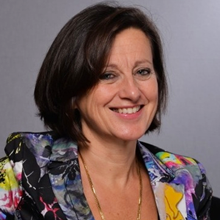 She was directly responsible for the P&L of business units, regions and client accounts during her career at Alcatel-Lucent, Royal Philips Electronics, Flextronics, Temps Warner Cable and Air Liquide. She developed skills in guiding CEOs through top-level strategic transitions, leading to portfolio management and R&D transformation, innovation in sales channels based on macroglobal trends with emerging technologies and new business models. She held previous positions advising on innovation, strategizing for M&As and consulting on emerging markets and sustainability. Mary was born in Peru and is Italian-American. She speaks fluent English, Spanish, French and Portuguese. She holds a BS in business administration, an MBA in international trade and has an INSEAD certificate in corporate governance. 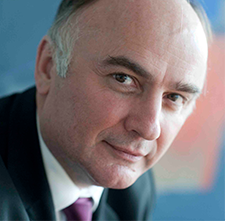 Pascal Poirot attended Ecole Polytechnique and holds an MBA from INSEAD. He began his career in 1983 at the Eiffage Group working on large construction projects in Algeria and China before joining the mergers, acquisitions and franchises department and then being appointed Regional Director in Biarritz. In 1993, he went to work for Degrémont as Regional Director for the Paris/Normandy/West Indies zone and then became Director of Industrial Accounts. In 2001, he became CEO and shareholder of Setec Organisation, then board member and shareholder of Setec Consultants, a Setec Group holding company. In 2009, he founded a strategy and governance consulting firm called PPo Consulting and the following year took over the management of Arthaïs Production. 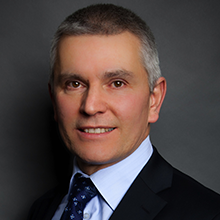 He is also Chairman of the Board at TB Maestro, member of the Supervisory Board and Chairman of the Audit Committee at Systra, and Vice-President of the Cercle des Administrateurs association. Kees holds a PhD in chemistry from Utrecht University in the Netherlands. 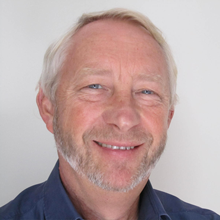 He has over 30 years of experience in R&D departments at large multinationals and has held senior management positions at Shell, Nova Chemicals and Rhodia/Solvay. His time in the Netherlands, Belgium, the United States and France has taught him that diversity is a key driver of top-level corporate performance. He manages headhunting projects in the industrial sector and handles global development for Women in the Heart of Boards, mainly in Europe.